A form of training you can undergo before becoming a full-fledged teacher is working as a teaching assistant. Assuming such a position may be very helpful in attaining your career goals. Not only will you get to work alongside a certified teacher, but you will also experience firsthand what it is like to be an actual teacher. 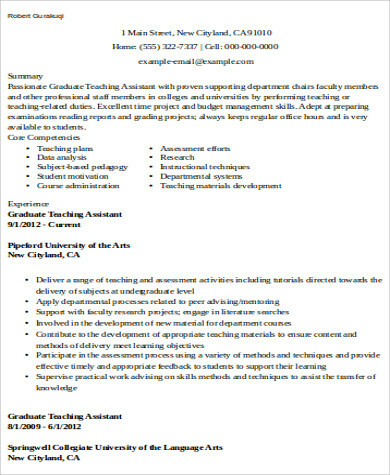 For you to be able to apply successfully as a teaching assistant, you must see to preparing your credentials. Moreover, you will need to make sure that you are qualified. 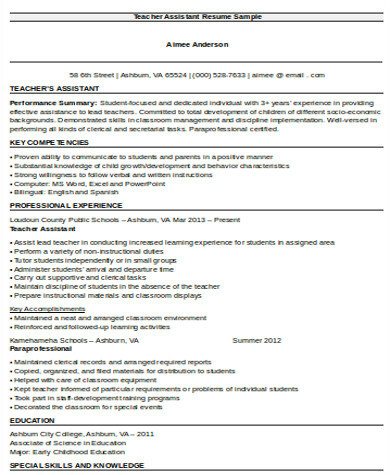 To start your job application process, you can look through the Sample Resumes found on this page. 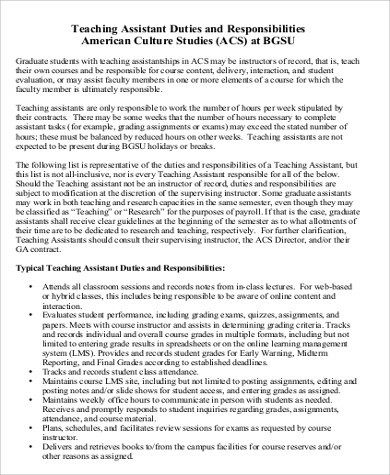 In writing your teaching assistant resume, it is important that you know the different components of such a document. Bear in mind that you will be making a targeted resume, which means that the information you put into your resume has to be related to the position you are applying for. 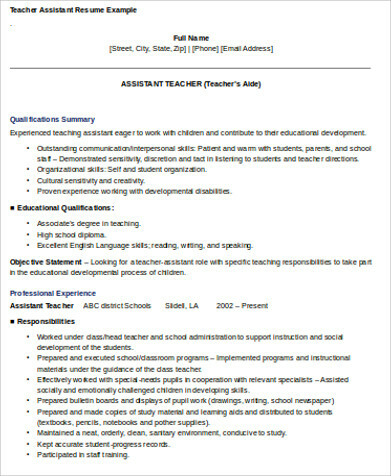 You will need to leave out any information that holds no relevance to being a teaching assistant. 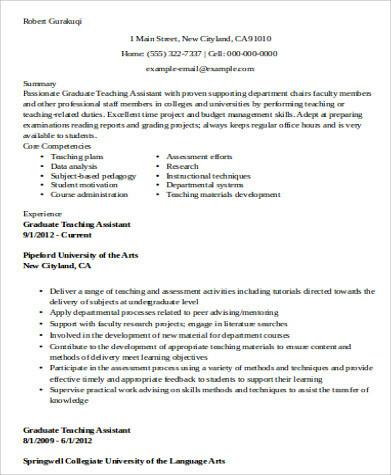 Doing a quick search on Sample Teaching Cover Letters and Elementary Teacher Resumes will help you significantly in writing your resume. Educational Background. In any professional resume, whether chronological, functional, or targeted, the educational background is an indispensable component. You will need to state the school from which you graduated. And since you are applying for a teaching assistant position, having completed a course or program related to teaching will prove to be advantageous to you. Work Experience. In this section, you have to state only the previous work experience you have had that is related to teaching or any profession that entails dealing with children. Hence, if you previously worked in a salon, there is no need for you to include such information. Skills. 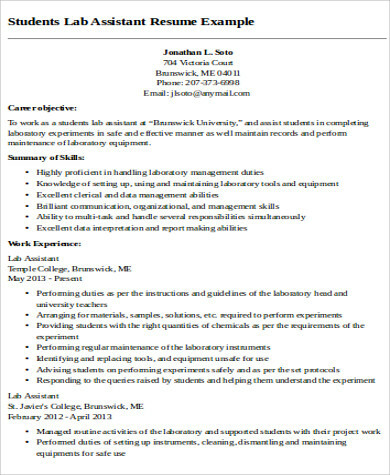 Just like the two components previously mentioned, this part of your resume is also crucial. Prior to citing your hard and soft skills, it is best that you conduct a self-assessment beforehand. In doing so, you will be able to provide honest information. Some of the skills required to take on a teaching assistant position are time management, communication skills, and patience. Interests. In professions wherein one is required to deal with different types of people, such as a teaching assistant job, having interests that correlate with the job responsibilities may put you at an advantage. 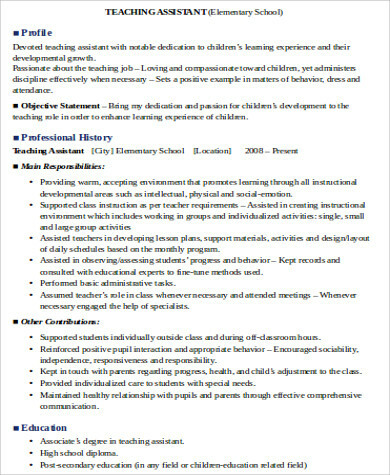 It is recommended that you state your interests, particularly hobbies that are somewhat related to teaching or dealing with children, in your resume. Character References. 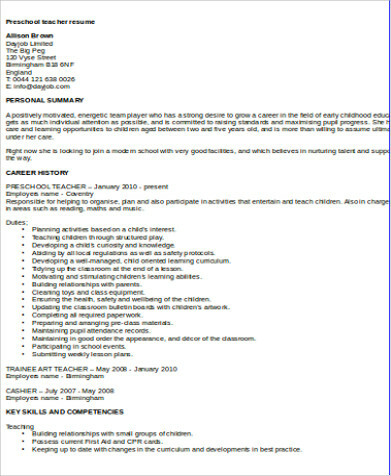 Much like what you see on the Sample Teacher Resumes shown on this page, any good resume never fails to include a character references section. List down the people whom you have worked with and worked for. Your previous employers and coworkers will be able to verify any information about you (particularly with regard to your competence and character) should your prospective employer require it. 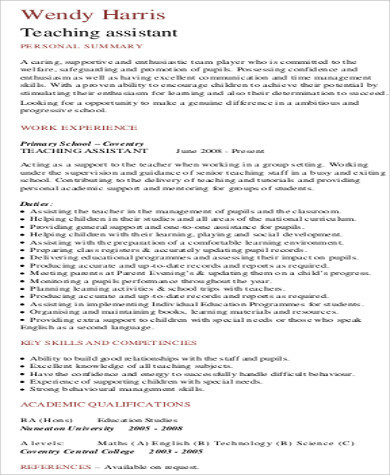 Writing a resume that will guarantee you the teaching assistant position you have always wanted is a matter of being prepared and strategic with regard to presentation and content.